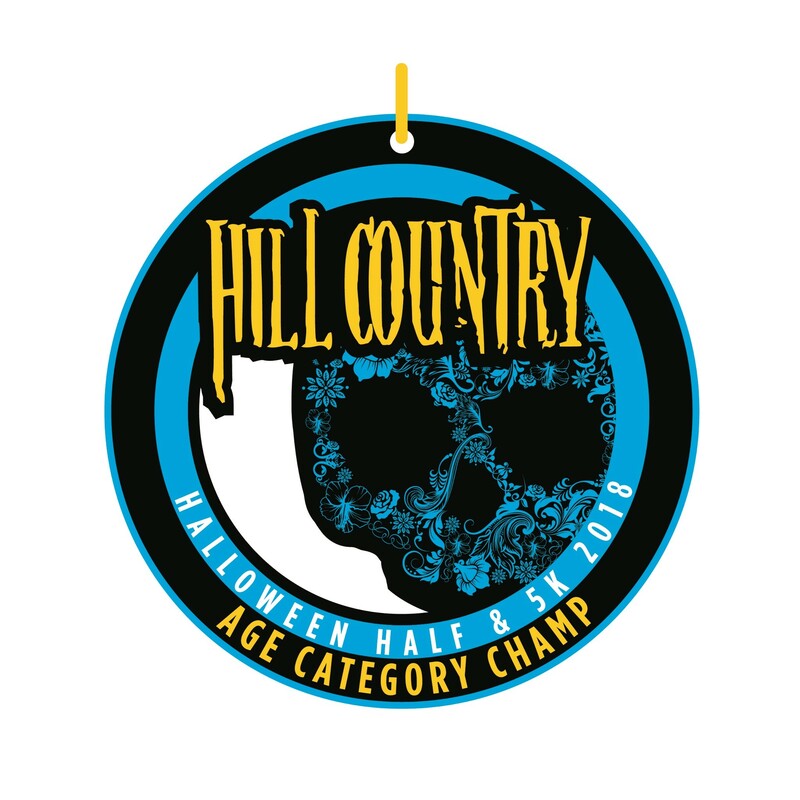 Welcome to the 2019 Hill Country Halloween Half Marathon presented by Penteli Events! 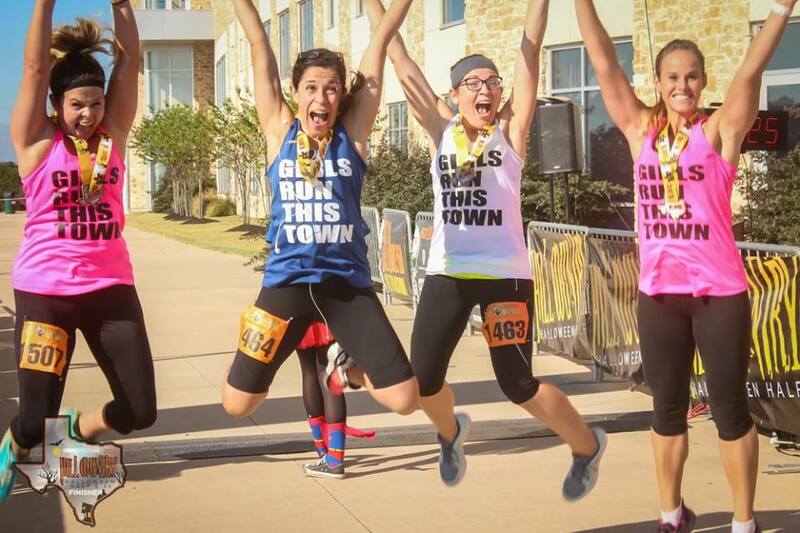 While costumes are optional at this half marathon event, you are guaranteed to have a good time. 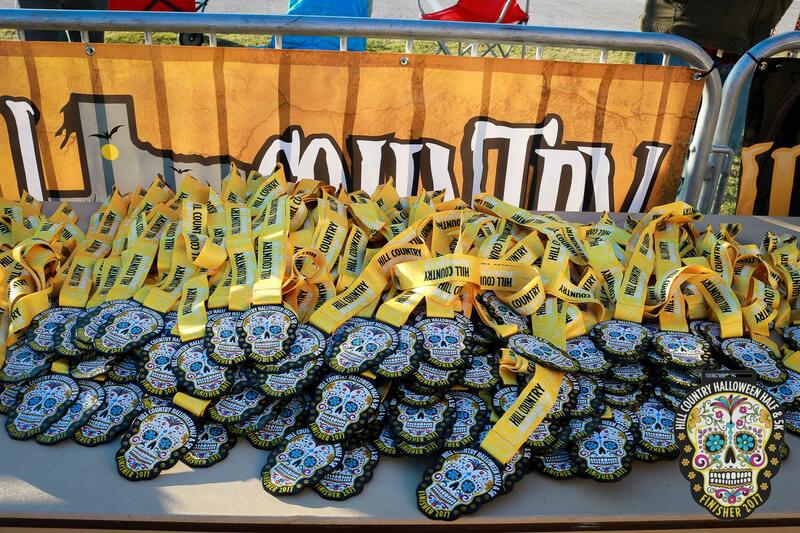 Finisher Medals for all participants!! 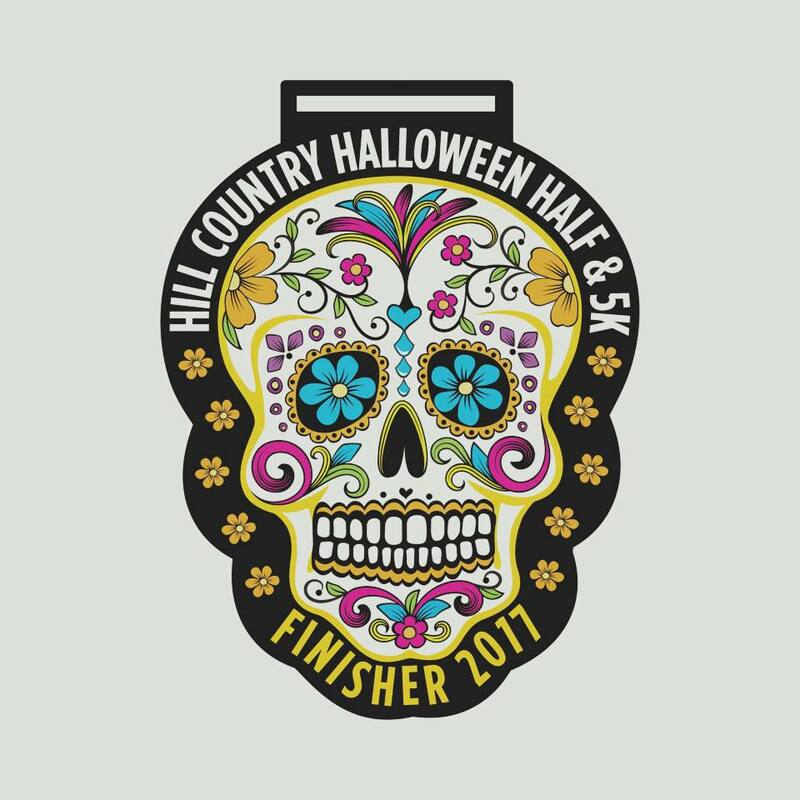 The goal with this event was to create a memory for everyone – and having a half marathon in October, having it themed around Halloween was an obvious choice. The Half Marathon course is designed to be mostly flat as you will see on the course page. 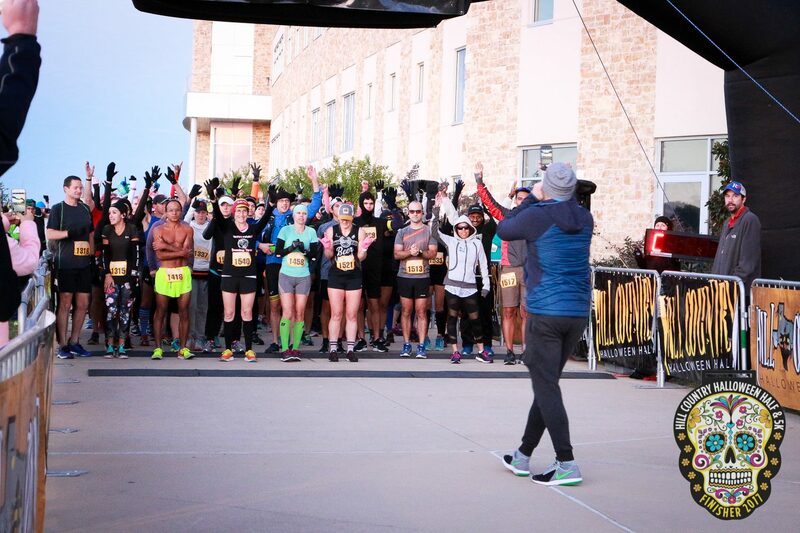 You won’t want to miss this event as it will be one of your favorite races in Austin. The finish line will be a party with music, massages, entertainment and activities for kids, and of course an abundance of random prize giveaways. The Half Marathon course is USATF certified and all participants will be chip timed and will receive gender specific performance tech shirts. 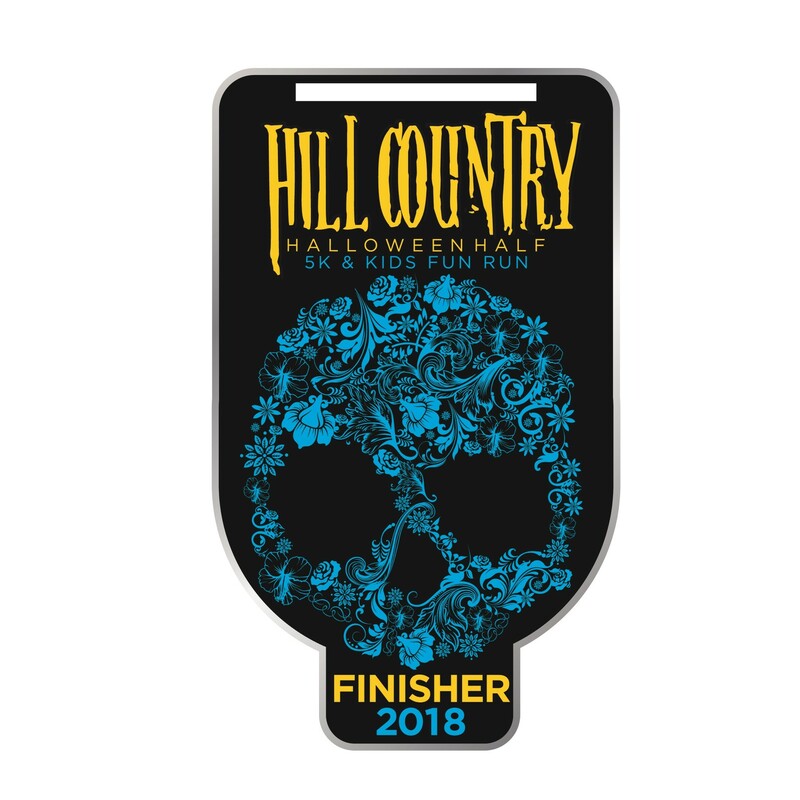 All 3 Race category finishers will also be rewarded with custom finisher medals – trust us, you will want to get one of these medals. Water Station at the 1/2 way point for the 5K.. The course is mostly flat with an uphill around miles 7-8, nothing to steep but plan accordingly. There is one section of the course that repeats as you come back into blockhouse on Scottsdale Drive and turn right onto Blockhouse. Once on Blockhouse you will run the loop back to the Finish line. We suggest that you arrive early on Saturday morning. We do have a warmup and streching lead by a local Camp Gladiator group, they do a great job! Arrive no later than 7am to be safe, but eariler is better. There is plenty of parking on site, however do not park in any of the spaces that are roped off. There is a section of the lot where the race starts and finishes. Please follow the course signs, the course is marked very well. Also, please stay on the right side of the cones for your saftey. There will be sufficient Police support, but it is your responsibility to be familiar with the course and to be aware of any traffic hazards. Every runner who finishes one of the 3 races WILL recieve an amazing finishers medal.. these are large and well designed medals! We thank you for your support of this race! It's our runners who make the race so fun, and we look forward to seeing you on October 26th, 2019..